The Cannes Lions International Festival of Creativity is one of the most important events in the world for the media, advertising, and creative industries. 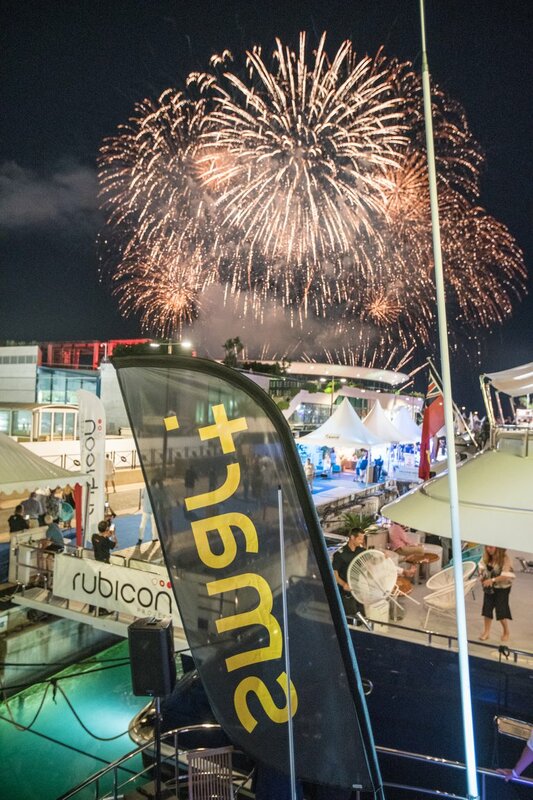 Every June, thousands of the most innovative and genius minds come together at the French Riviera to win awards, make important contacts and connections, and of course, to party and enjoy. The definition of a successful week during Cannes Lions is based loosely on 3 principal victories: how extensively you've expanded your professional and social network, how many Cannes Lions Awards your agency has taken home, and last but not least, how many people showed up and enjoyed your party. Hosting a successful event or panel during Lions is a tangible component of a company's brand and image and the party scene here is nothing short of impressive. So, how does one go about hosting a legendary Cannes Lions party that people can't stop talking about? Behind every successful event is a mastermind (or dream team) who has sacrificed hours of sleep, their social life, and more than likely has consumed double the average person's caffeine intake. We're going behind the scenes with the event planners, the unsung heroes of these epic fiestas, and asking them exactly How to Host a Cannes Lions Party in this expert interview series. 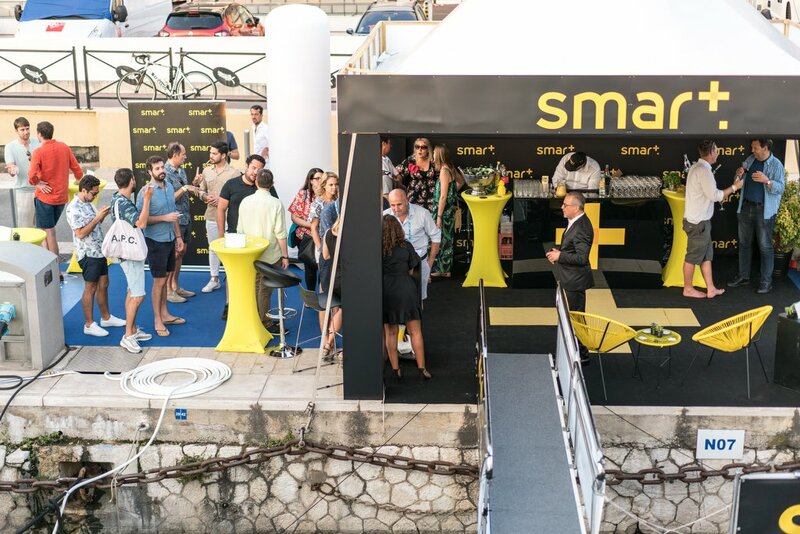 Today we're going to focus on one of the most successful Cannes Lions yacht parties hosted by top French advertising technology company, Smart Adserver. Smart is the most powerful full-stack ad server and natively integrated SSP on the market. They provide solutions for publishers and demand partners and work with companies like The Financial Times, El País, Prisma, SAPO, Gameloft, and more. 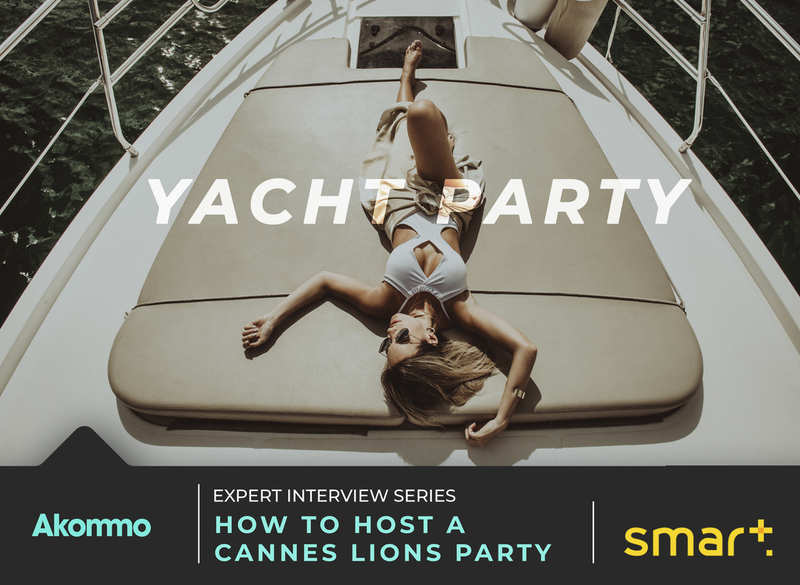 In today's Expert Interview Series, Smart AdServer's Communications Director, Céline Poindron, shares what it's like to organise a lavish Cannes Lions yacht party, sleep on a fully-serviced catamaran in Cannes, and tips on how to make the most of your budget. Picture this scene - you wake up in the famous Cannes port, Le Jetée Albert Edouard, with a freshly-squeezed orange juice brought to you on the bow of your 31m/102 ft catamaran as your neighbour at the Rubicon Yacht waves and says good morning. That's a typical morning in the day of the life of those who have the extreme fortune of chartering a private yacht during Cannes Lions. However, once breakfast is served and finished, it's time to put your boots on and get to work. The major advertising and tech companies that are hiring these yachts have staff available to them 24/7 to cater to their needs and make sure their boat is looking pristine at all times. Of course, this comes at a cost. In a week, renting out a yacht (that oftentimes remains docked during the festival), will easily cost up to 6 figures. Céline has been at Smart Adserver for 9 years, and she's certainly mastered the craft of budgeting when it comes to making the most of her allotted amount each year. In case you weren't aware of how pricey Cannes is, it's very easy to spend a quarter of a million euros and end up needing more. Let's get one thing clear here - hosting a successful yacht party is no walk in the park. Céline does not require the assistance of any event planning agencies, and only works with one other person. They are able to manage their team's personal needs, the panels, the business lunches and dinners, cocktail parties, their Smart Champagne and Sea party, as well as a large-scale party every Tuesday during Lions, all alone. We're just going to pause and send a little round of applause in Céline's direction. When we asked Céline just how much a week during Cannes Lions could cost her company, she respectfully declined to give a set number for her total budget, but laughed as she said, "it's VERY expensive, but with a very high ROI. It's clearly one of the biggest investments of our annual marketing budget". She shared that as a mother of 2 children, she's acquired a real talent for budgeting, negotiating, and making an incredible experience for her guests within the parameters of her budget. If you attended any of the various Smart Adserver Cannes Lions events last year, you can easily see just how much effort and attention to detail Céline puts in. Were you part of the Cannes Lions 2018 Party List? If you want to be featured in the Cannes Lions 2019 Party List, send an email to contact@akommo.com. If you want to stay informed about all event updates, click on the blue Subscribe button and get ready to party. Céline has ensured that Smart Adserver has one of the most impressive boats in the whole Jetty of Cannes, the infamous Hutiane Catamaran. Built in 2011 by Nuovo Arsenale Cartubi, the famous Italian superyacht company, and recently refitted in 2018, the Hutiane exudes luxury, elegance and wealth. Word on the street is the price to charter superyachts for a week during Lions is anywhere from €60,000.00 to €100,000.00 for the boat alone. Did your stomach just drop? Welcome to the French Riviera. In order to acquire this highly-desired catamaran for her company, Céline has to rebook the boat 3 months after Cannes Lions is over in order to secure it for the following year. She revealed how in August already, her broker was being contacted by other clients who were making offers to charter the Hutiane for Cannes Lions 2019! So what exactly makes this catamaran so special in comparison to the other multi-million euro yachts docked in the harbour? The Hutiane sleeps up to 11 guests in 4 rooms, including a master suite, where the CEO of Smart Adserver sleeps. While most yachts can cruise with up to 12 guests maximum, the Hutiane can take 30 people out for a spin on the Bay of Cannes. Not to mention, it's one of the first boats you see in the harbour, making for optimal visibility and placement that sparks envy among all of her neighbours and competitors. 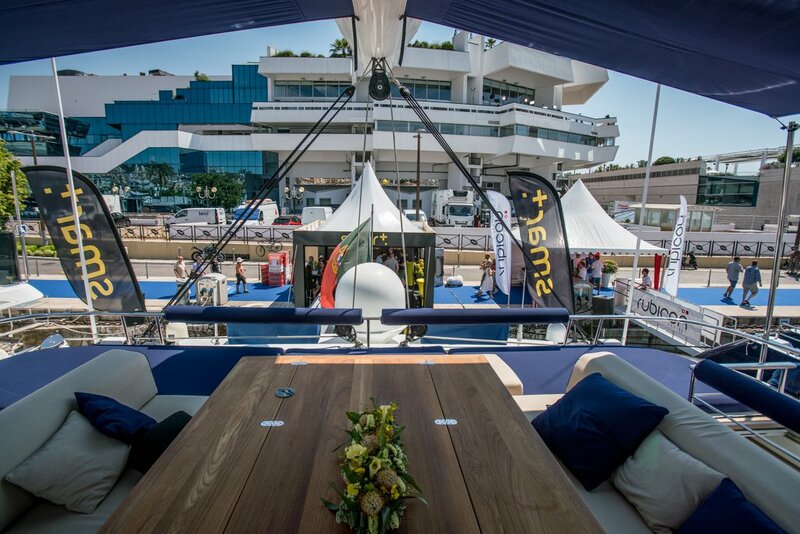 The cabins, indoor dining room, and of course, spacious outdoor lounge and dining areas make for a complete luxury Cannes Lions yacht party. Céline said one of her tricks to hosting a successful Cannes Lions Party within her budget is "planning far in advance before the best locations are booked", as well as "establishing strong relationships with local providers to get fair prices". The high-end party business is a competitive one, and if you want to win, you have to know how to play smart (no pun intended). Take notes from the yacht party master, ladies, and gents - Céline secures her booking in September, almost an entire year before the next event! This is including the Hutiane, her additional team's accommodation, and other local services. Let's talk about the return on investment of spending six figures in a week. We asked Céline what kind of results Smart Adserver expected from hosting some of the most luxurious parties and lunches during Cannes Lions, and from her response, we gather that they exceeded their expectations. "It's totally worth it. We're able to reach our target audience and acquire new business relationships in the US and UK markets every year. It's a highly enjoyable experience for our special guests, and they appreciate the efforts we make. They especially love the Smart Adserver Champagne Shower". Hold up... Champagne Shower?! Doesn't that only happen in movies and music videos? "We attend various trade shows every year, and our US clients will come up to me and say 'Are you going to do the Champagne Shower again at Cannes Lions?' It's really gratifying to know that we're reaching the audience we're targetting during these events and providing them with a positive, memorable branded experience". "The act of shaking up champagne bottles and popping them, thus spraying your friends and yourself with large quantities of champagne in an act of celebration." Smart Adserver provides a lot more than their epic Smart, Sea and Champagne Party, the kind of party that you usually hear about in pop songs. Every year, they offer a panel lineup that consists of talks from powerful industry leaders like Google and Financial Times, business lunches with carefully-selected VIP guests, sunset cruises, detox smoothies and massages in the mornings on the stern of the Hutiane, and a massive annual private party that exceeded an attendance of 400 people last year. 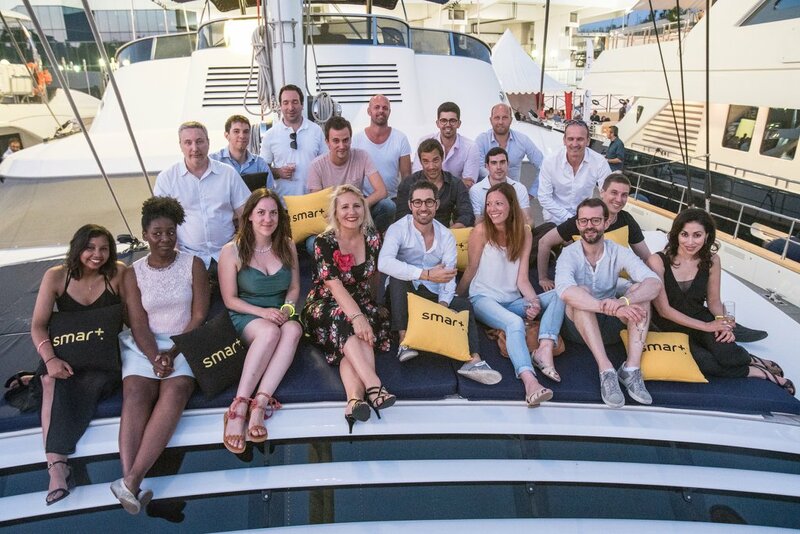 Though Céline was very satisfied with the results from Cannes Lions 2018, she said this year the Smart Adserver Yacht is going to be even bigger and better in terms of the quality of her panels as well as business meeting numbers. "We're going to have 3 different panel discussions this year with equally important speakers". 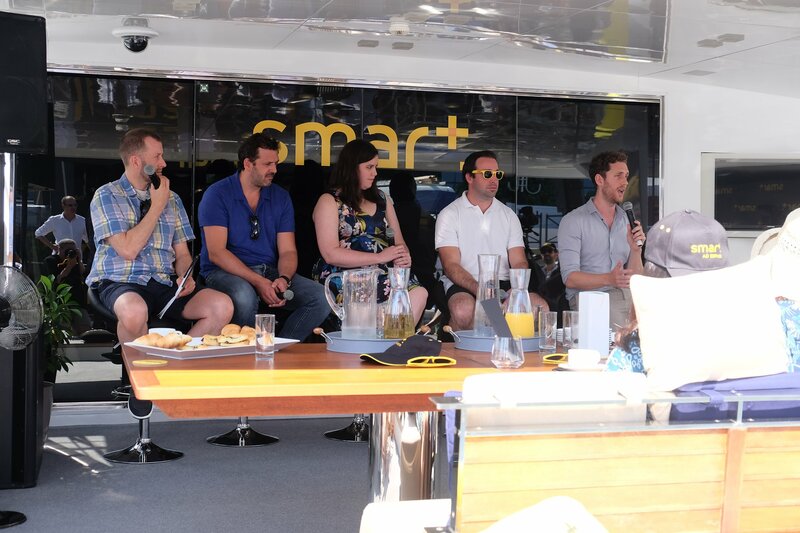 FYI - they are still receiving last-minute requests for panellists, so get in touch with Céline if you'd like to be a part of the Smart Adserver Yacht experience! When we asked Céline to share some secrets to her success, she immediately expressed the importance of having good catering. When it comes to cuisine, the French have automatic authority and knowledge on the subject as it's their unofficial birthright. "Even if the boat is fantastic but the food isn't delicious, the experience is ruined entirely". This year Smart AdServer have hired a chef who used to work alongside Alain Ducasse and the late Joël Robuchon, two of the most renowned chefs in France. 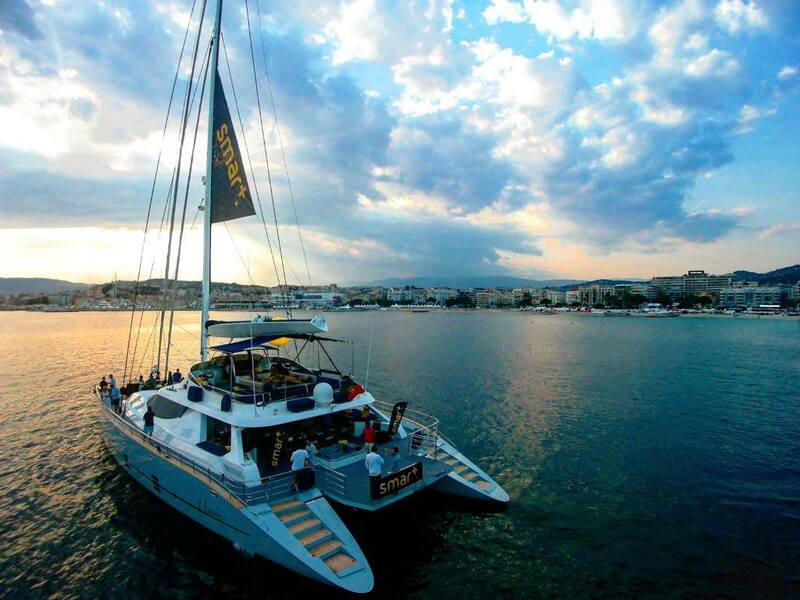 Cross your fingers and hope that you're one of the lucky few to be invited on their sunset cruises, VIP business lunches or dinners, or the infamous Tuesday night party. Although the parties are private and directed at specific clients, Céline said that they are "willing to let people who weren't personally invited aboard if their business is relevant to Smart AdServer", and that Smart Adserver prides themselves on being a"powerful business with a strong family-oriented and inclusive culture". 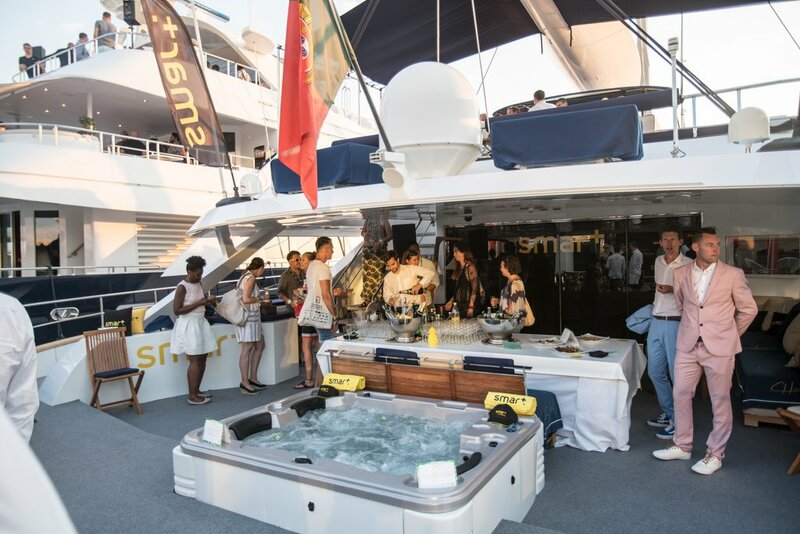 Come May, you'll be able to find out all of the details regarding the extravagant Cannes Lions experiences aboard the Smart Adserver Yacht. Every year since 2015, Céline and her team have ensured the success of the Smart Adserver presence at Cannes Lions. 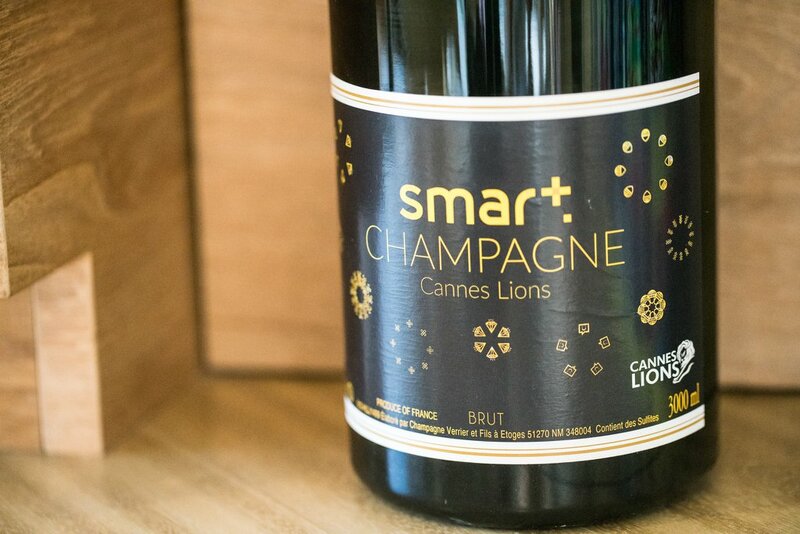 Due to careful planning in advance, managing her allocated budget, as well as securing the best deals for her company, Smart has created a brand name not only recognised at Lions, but around the world. It's so much more than champagne, boats, and living large. As Céline is in charge of all of the events during Lions, she has to work on average 18 hours a day during the event. Every year a standard is set for the Smart Yacht, and every year, she finds new and creative ways to exceed expectations within her means. Céline is the beauty and brains behind this successful event, and she represents an under-appreciated demographic in the corporate world: the event planners. This year, Akommo is launching the Cannes Lions 2019 Party List on April 30th, 2019. If you can't wait until then to start planning your party agenda, subscribe to our newsletter and be the first to sign up for the best Cannes Lions 2019 parties and events. 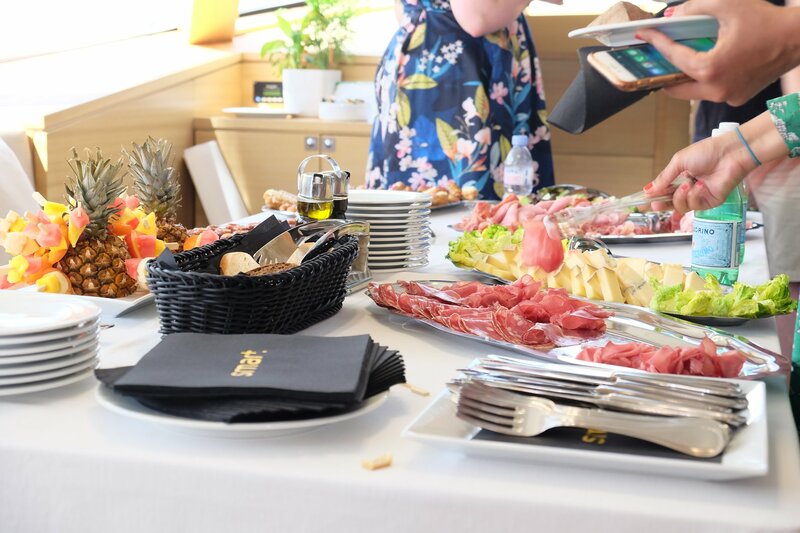 A very special thanks to the lovely Céline Poindron for sharing her experience and insight into the exclusive world of luxurious yacht parties with us!